Back in the 90s, McLaren hired a driver famous for horsing around - Gerhard Berger. During his three years at the team from 1990 to 1992, he and Ayrton Senna played a number of notorious pranks on each other, ranging from things like hiding smelly cheese in hotel rooms to throwing briefcases out of helicopters. On a slightly more serious note, the two of them seem to be getting along pretty well. 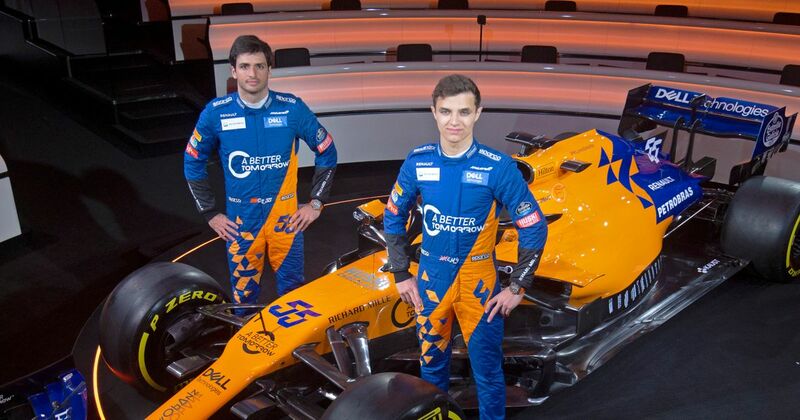 Despite Sainz being the senior driver (a term he’s not a fan of!) he said that as a newcomer to McLaren as a team, there’s still a lot he can learn off of his junior teammate. Even though it’s now been nearly five years since McLaren even scored a podium, for such a big team with so much in the way of resources, you’d expect success to return eventually. Could Carlos and Lando be the drivers to achieve it? Perhaps. And if they’re having fun with each other doing it, then all the better - just make sure to share it on social media, guys!